Jennifer Rizzo sent me an email a little while ago. "she sent me what?" project. from another blogger, and you have to turn it into something else. I, in turn buy something at a thrift store and send it on to the next blogger on the list. Well, today is the day we are showcasing all our creations! Donna sent me this pail. I thought it was pretty cute and wondered what the heck I could make with it. I kinda just wanted to throw a candle in it and set it on my porch and call it good. But, I knew it had to be more creative than that. I thought about turning it into a fountain so that the water would come out all the little holes. I also thought about turning it into a planter and filling it with flowers. Lastly I thought about planting an herb garden in it for my kitchen. After staring at it for about a week, I finally figured out what I was going to do with it. 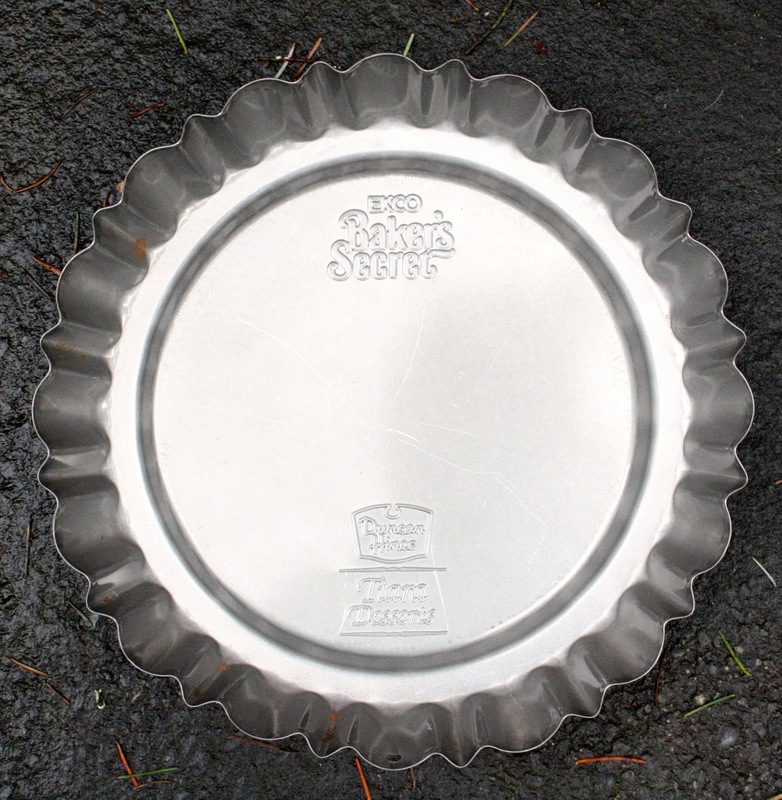 I was going to turn it into a bird feeder/house and the only thing I ended up having to buy was this 99 cent fluted pie pan from the thrift store! I rummaged through my stash of old hardware and found a tiny door handle. It happened to fit perfectly in one of the holes for a perch. 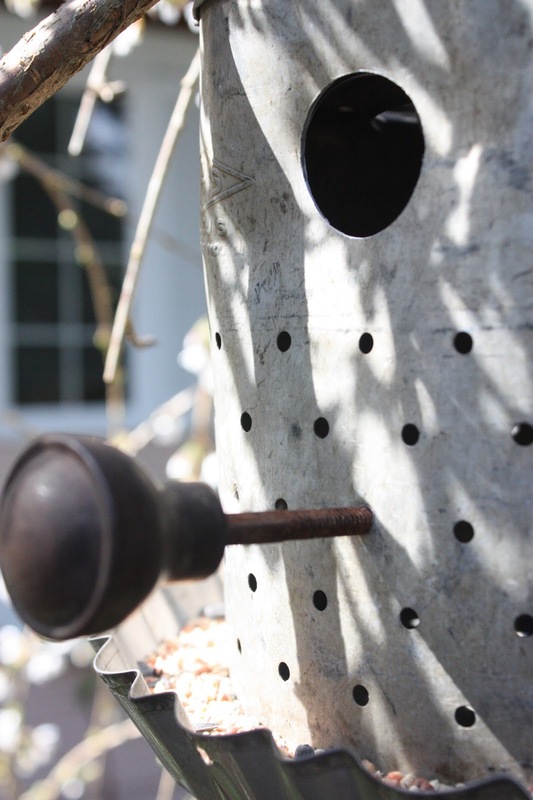 Then I drilled a small hole so birds can go in if they choose. 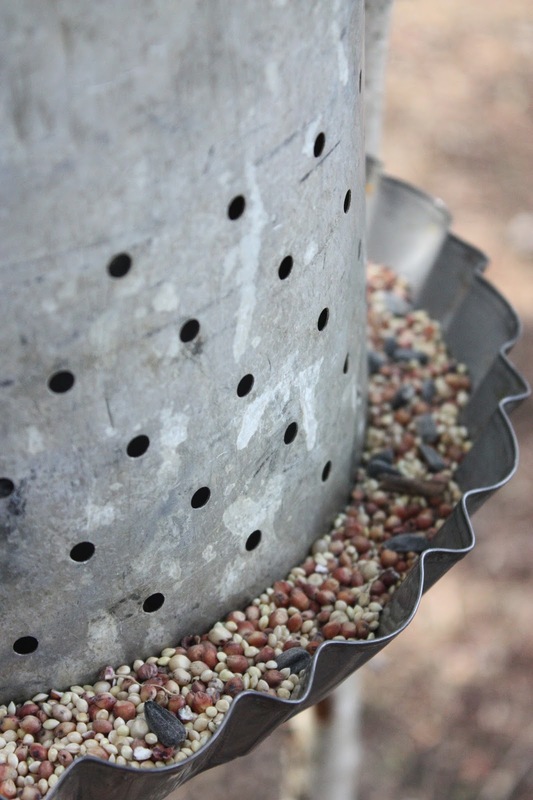 Next, I used liquid nails to attach the pail to the pie pan, let it dry, and filled the pan with wild bird seed! It's so super cute and perfect for Spring!I love it! Thanks so much for being a part of the party!!! I'm sure Donna wants this back now! This is the cutest birdfeeder I have ever seen!! That is BRILLIANT!!!!! Amazing, I love it! Now I have to have one! This is the perfect use for the bucket - love it and love the idea! I love, love, LOVE this. It is perfect. I love it!! Awesome re-purpose! You did a great job! 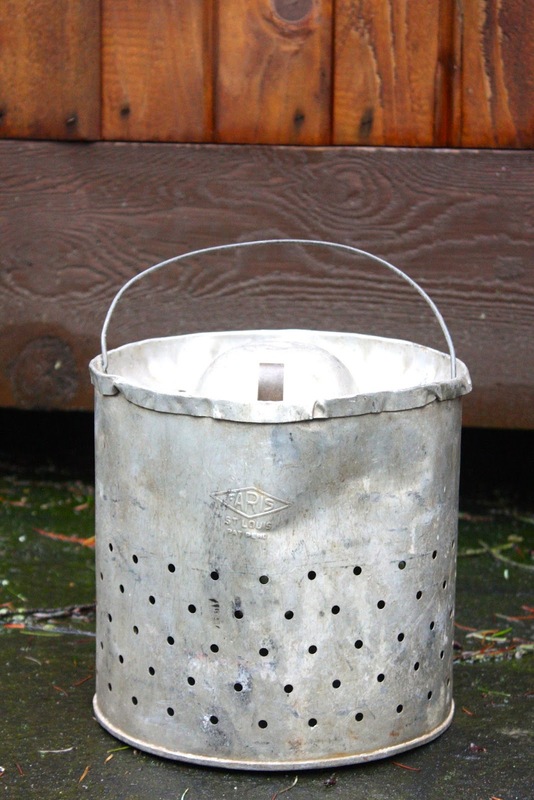 It was a minnow bucket in it's former life! (fish bait). I love what you did with it! I really like this makeover as I love birds! Perfect! Oh I love this!!!! I have to agree, I would want to keep it just as it came but I'm loving what you did with it! Perfect for Spring, lucky little birds. I love what you did with this piece, and I'll bet the birds do, too! So fun! I love this!!! I have a sudden urge to go thrifting! I agree pre re work that bucket was amazing! However you totally rocked the repurpose!!! Okay...seriously!? That bird house/feeder is probably my favorite upcycle so far! Fabulous! 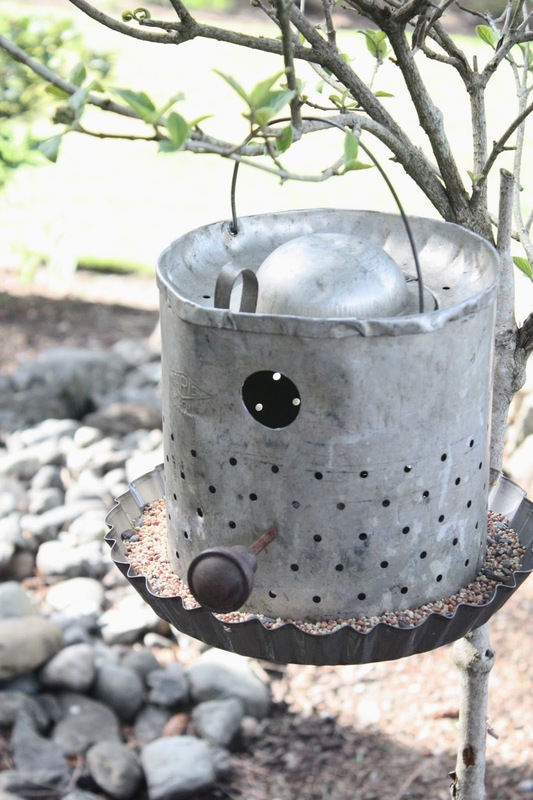 That is the sweetest little bird feeder ever! This is super cute and I want one! Love the creativity to take a hole-y bucket to this, wonderful. Your so creative...Is it for sale? Loved it. My favorite. You are SO SMART. Love this idea! 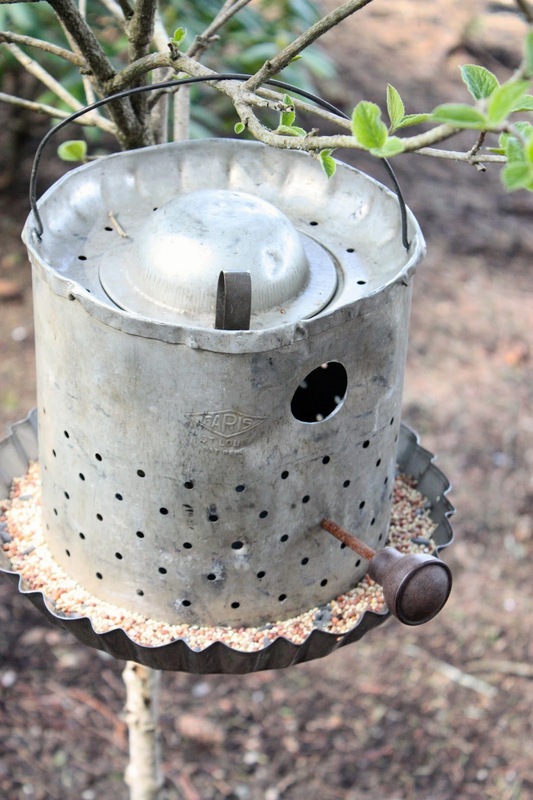 The birds will be flocking to your yard! LOVE this! It's seriously adorable! Melanie, you are SO creative! 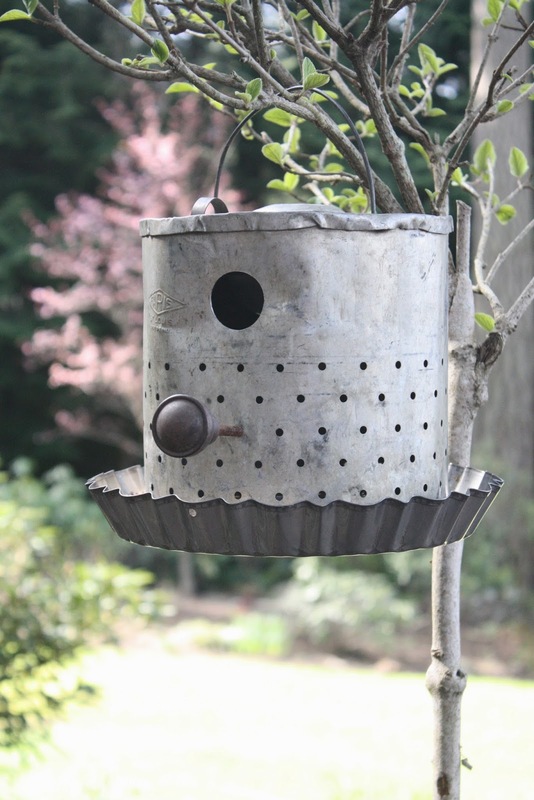 I LOVE this birdhouse/feeder! Now I'm wishing I could find a bucket just like this!!! Thanks for sharing! So cute! What a creative idea! adorable upcycling project!! 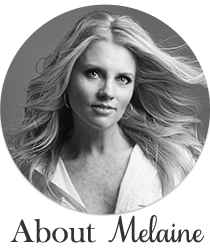 love it Melaine! So adorable! You are all so creative. I am having so much fun reading the participants' posts and finding new bloggers to follow. Oh this is a great idea! I would have loved it just as it was as well...LOL Thanks for sharing. oh my goodness ...that is fabulous! so much personality, and practical too! I love the way it looks so inviting for your feathered friends! what a creative way to use that.. so cool. Sounds like a fun challenge. 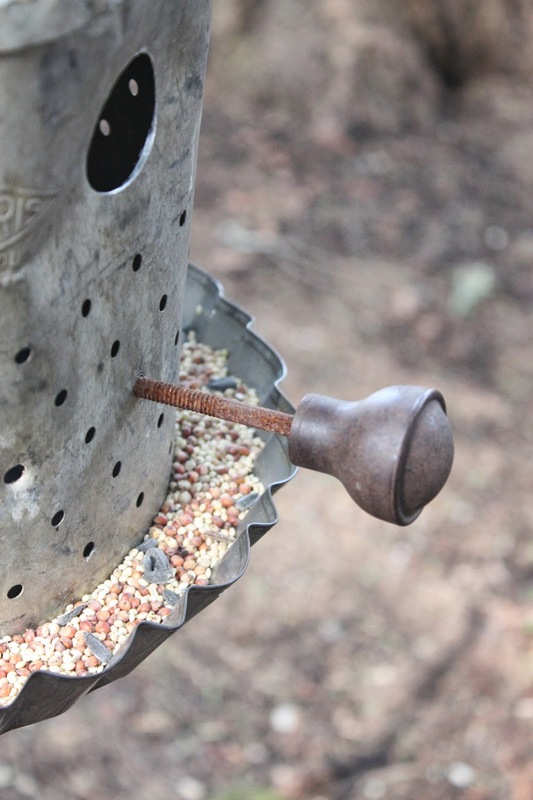 Love the bait bucket and the resultant bird feeder too! This concept is a great idea and I hope you do it again. I love this! It is brilliant and so stinkin' cute! Not only very adorable, it's useful. How fun to have all the birdies in the neighborhood visit your wonderful creation! Great job!